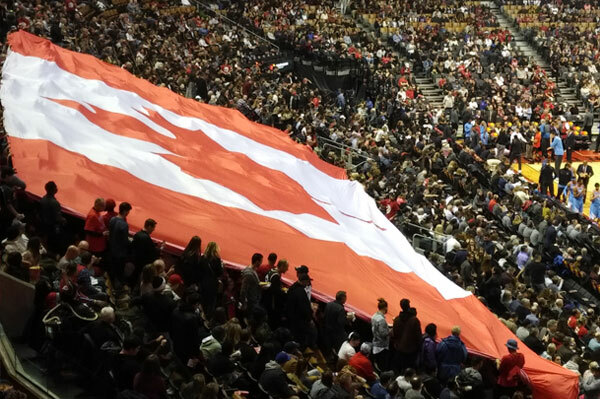 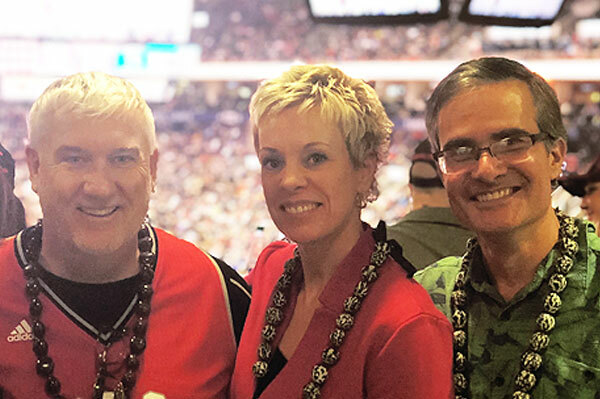 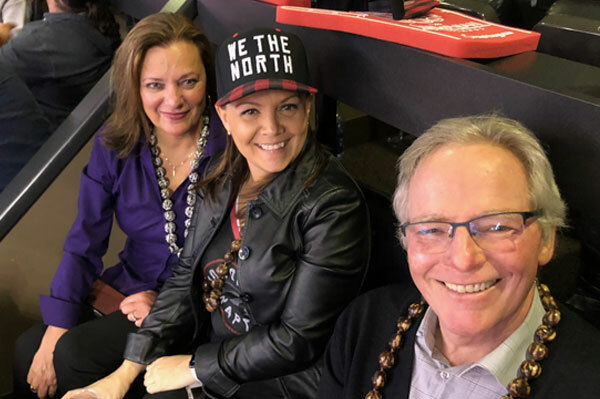 Hawaii Tourism Canada hosted Toronto area travel trade types at the Raptors game against the L.A. Clippers last night. 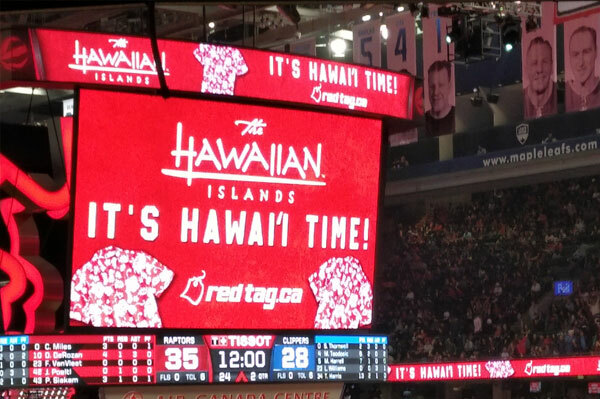 And while the Clippers trimmed the Raptors – 117 to 106 – the warm welcome of the Hawaiian Islands made the evening all worthwhile. 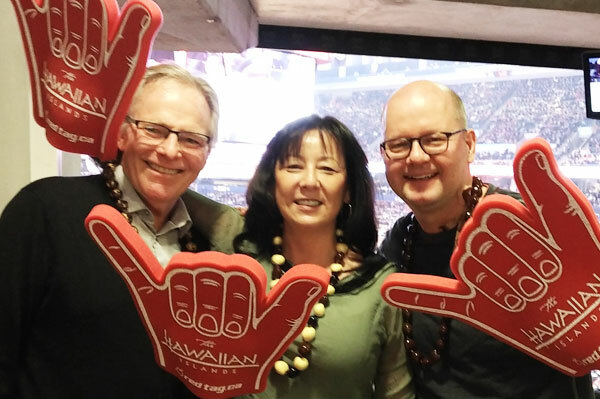 Air Canada’s Duncan Bureau; Dana Gain of Norwegian Cruise Line; and Colin Wood of Hawaii Tourism Canada (represented by VoX International in Canada).